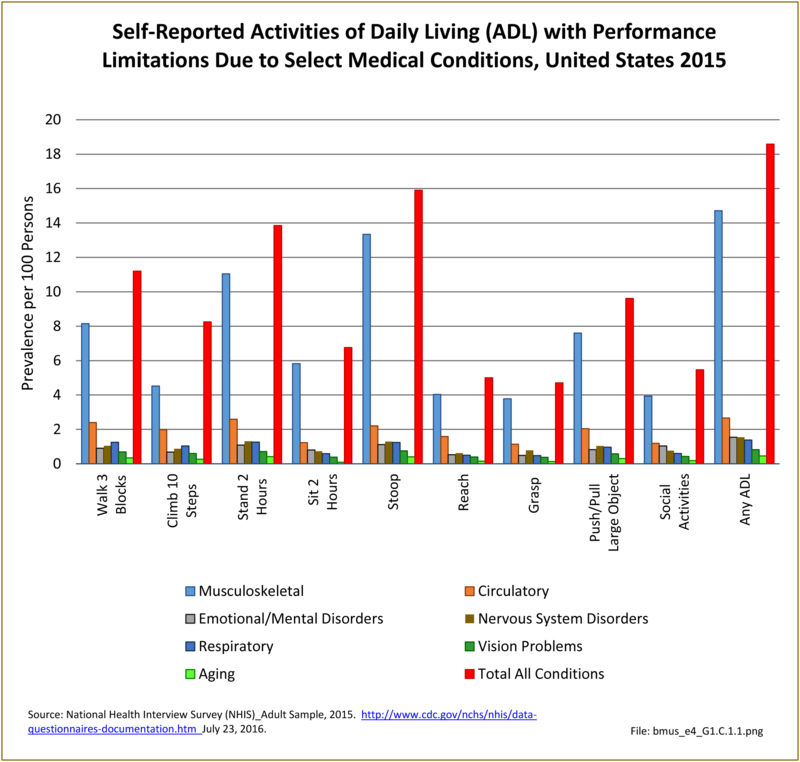 Participants in the NHIS survey are asked about limitations they experience in activities of daily living (ADL) because of medical conditions. 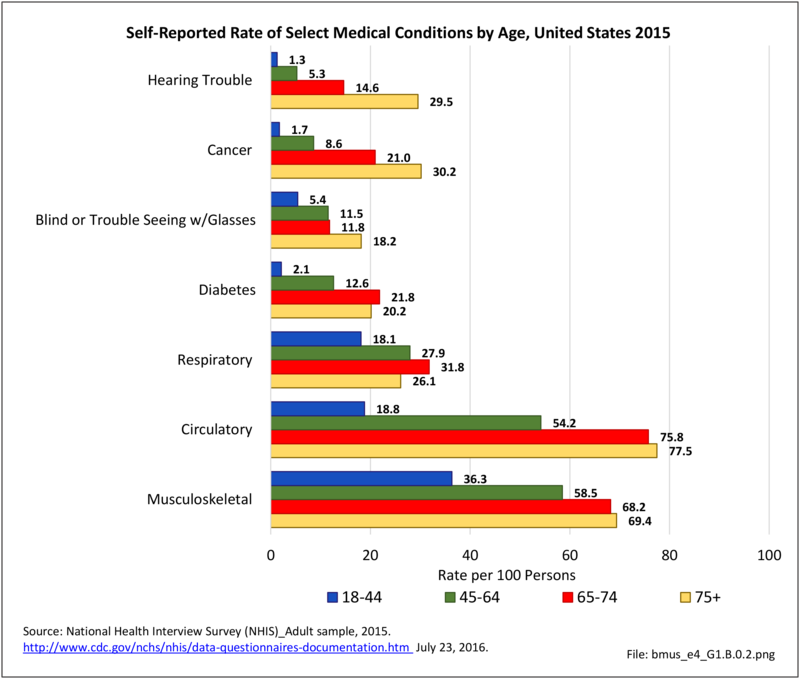 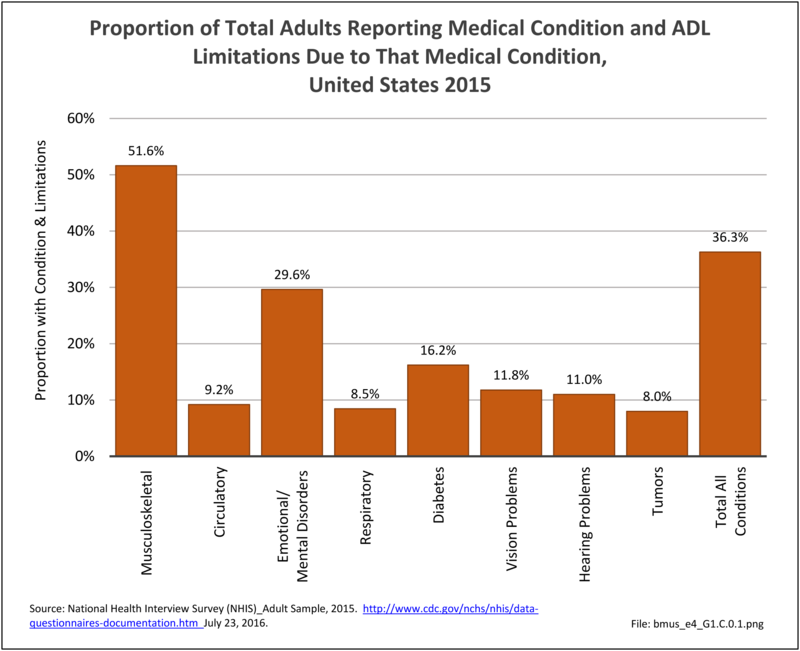 In 2015, more than 82 million adults, or 36% of the population age 18 years and older, reported they have difficulty performing routine ADL without assistance because of medical conditions. 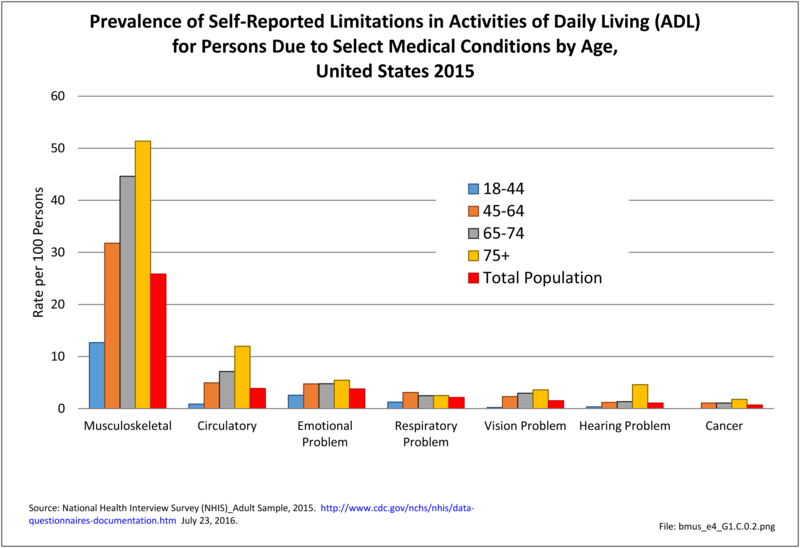 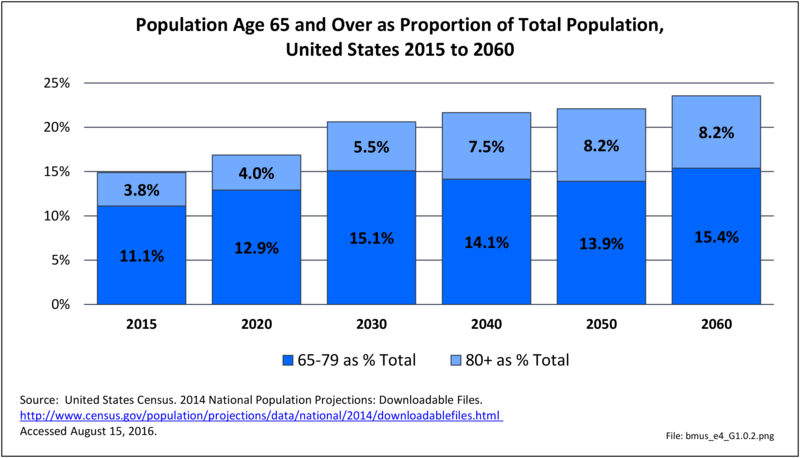 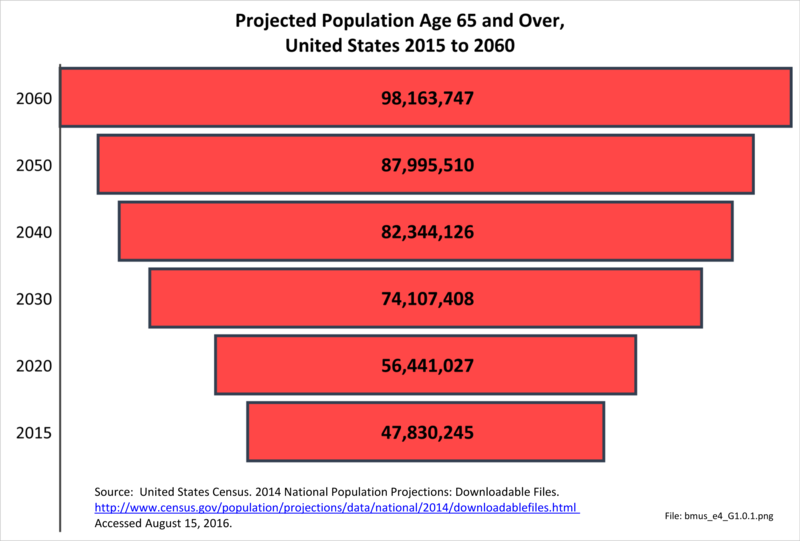 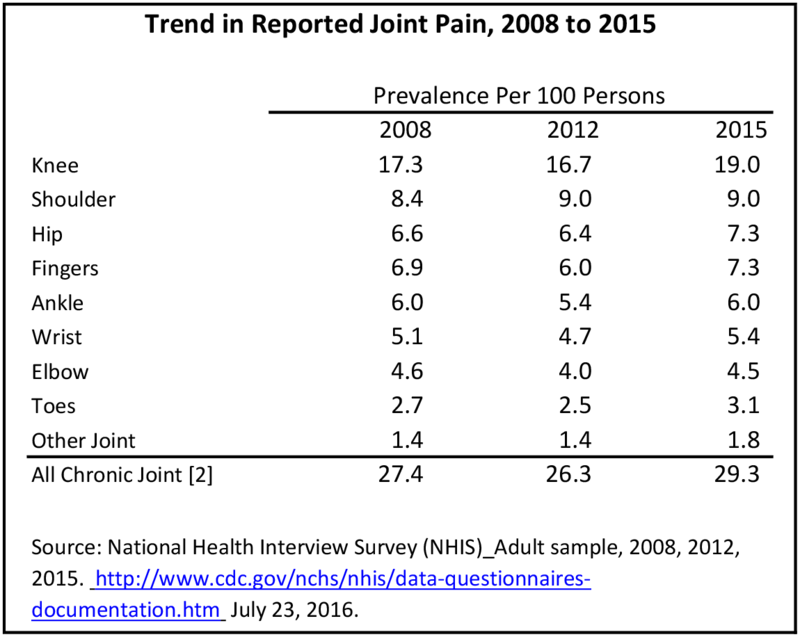 An additional 6.3 million children between the ages of 1 and 17 years are reported by their parents as needing more assistance in daily activities because of a medical condition than would be expected based on their age. 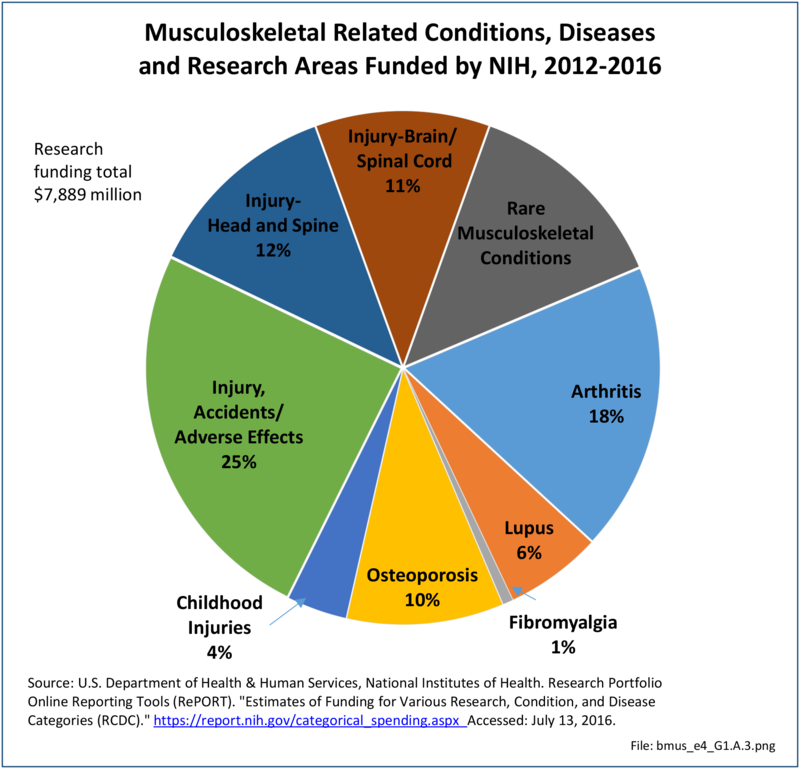 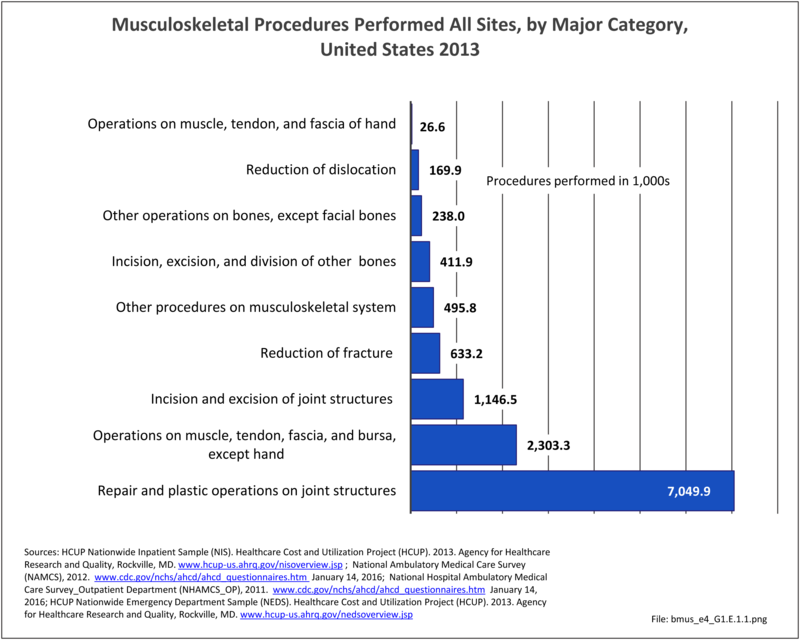 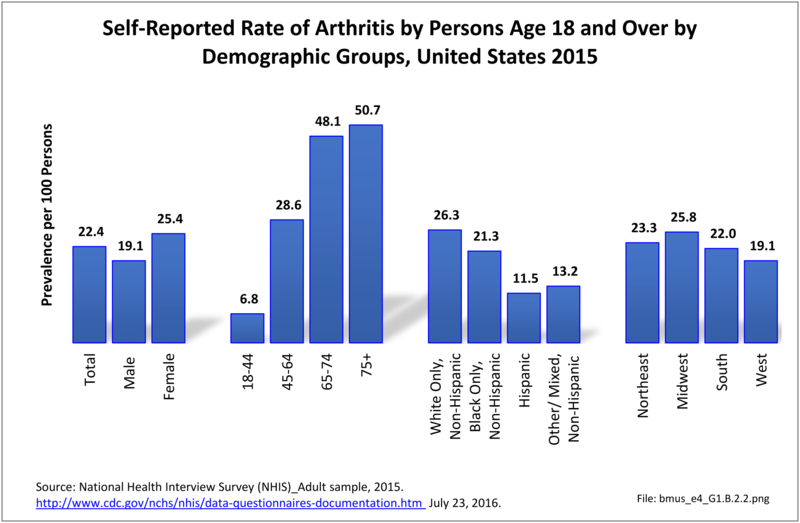 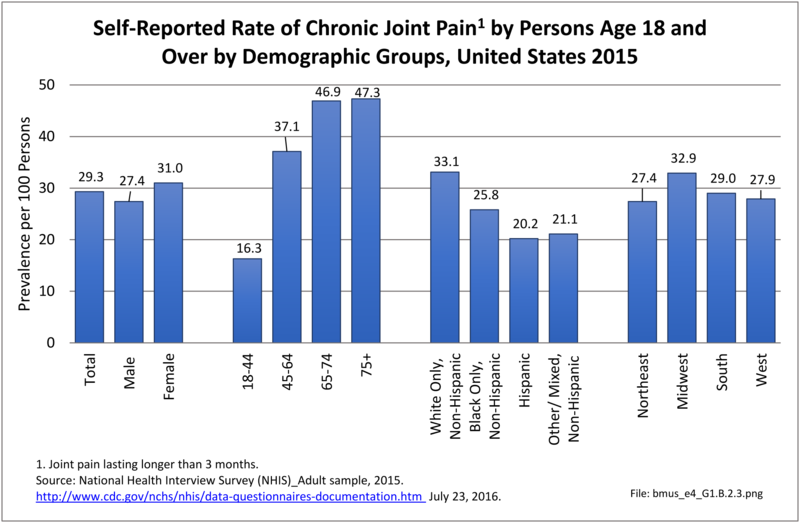 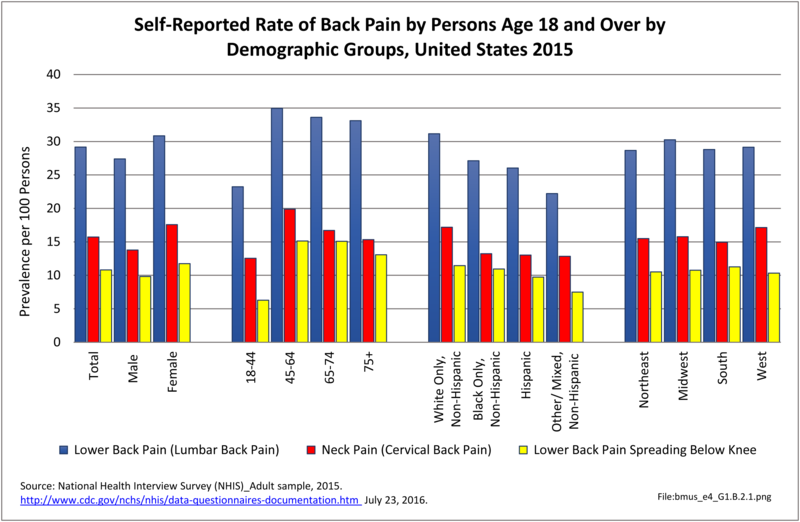 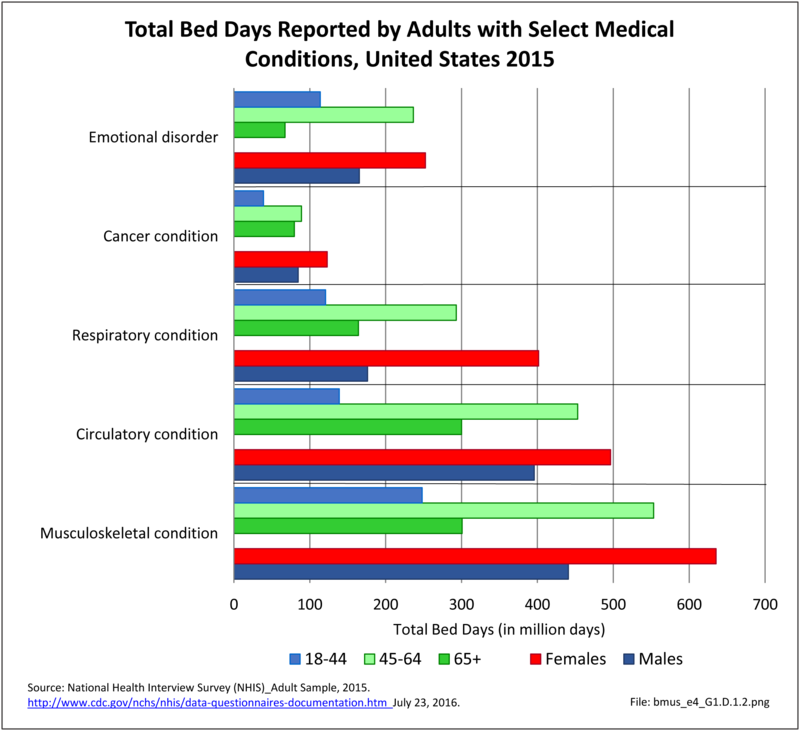 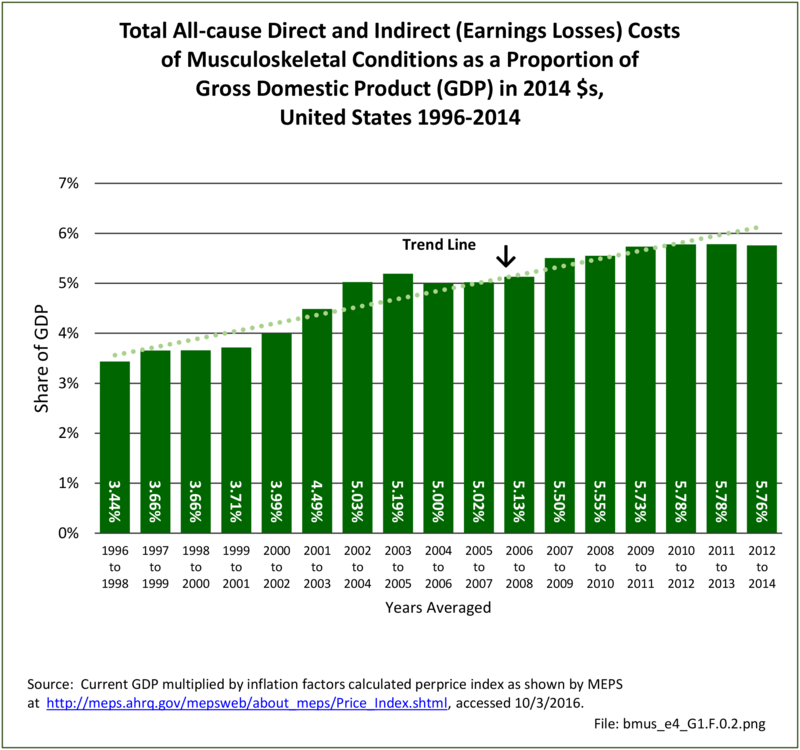 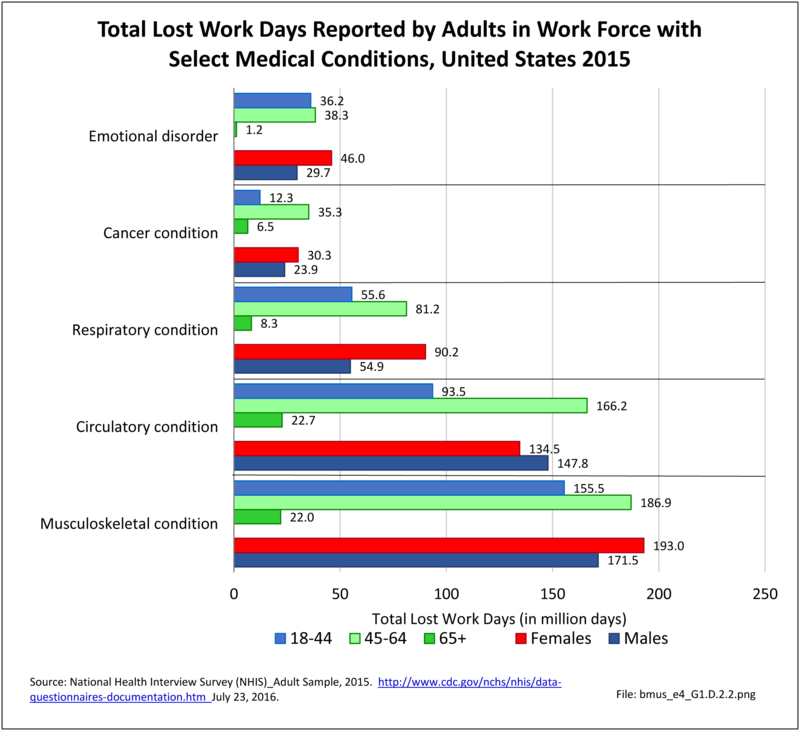 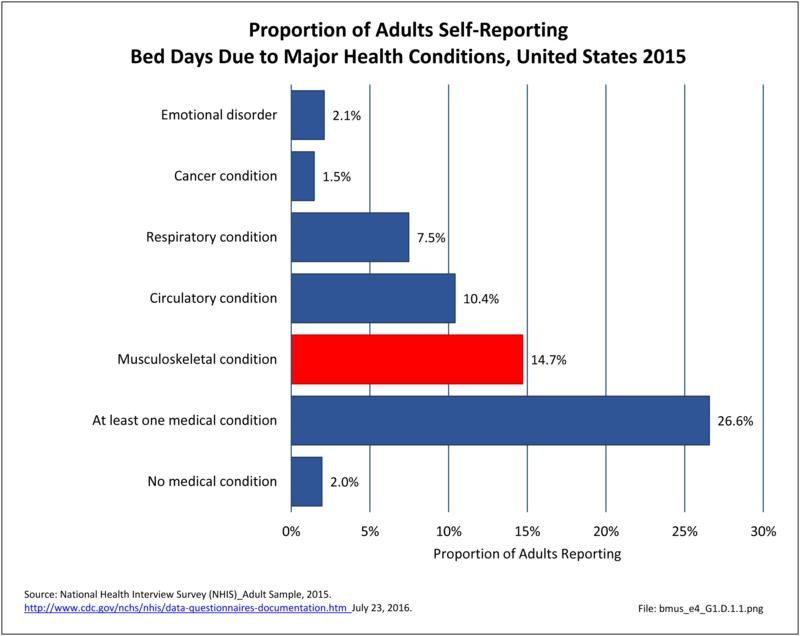 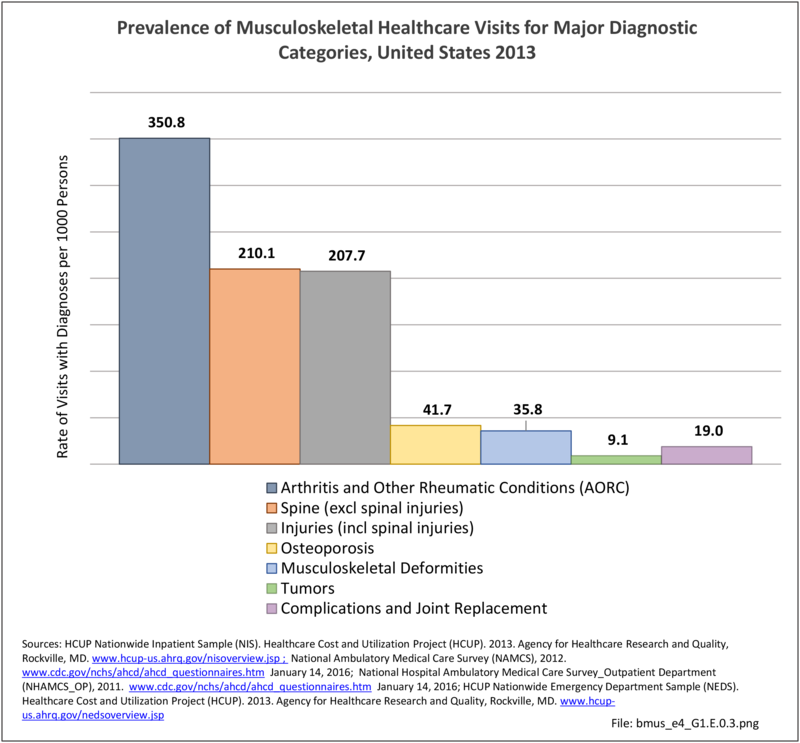 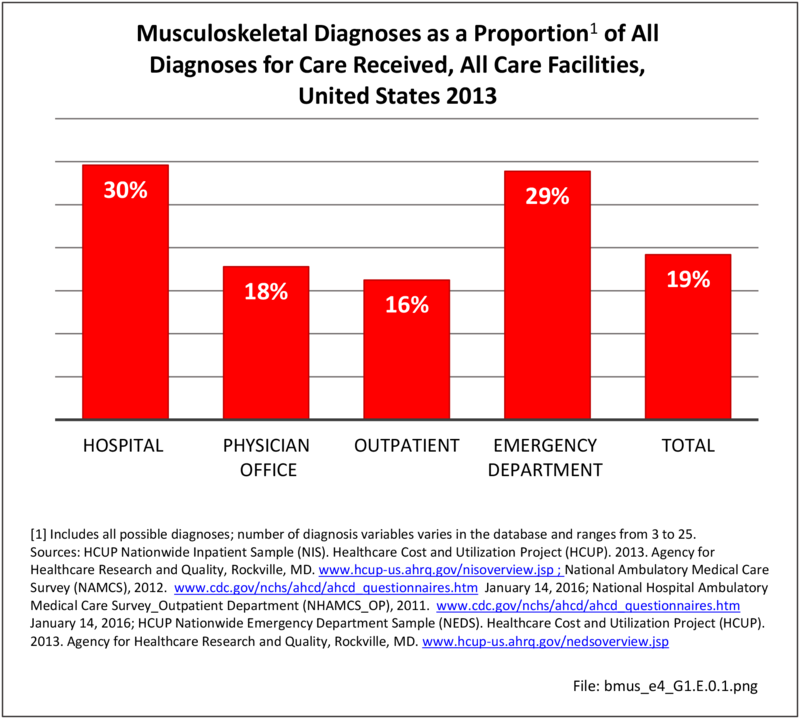 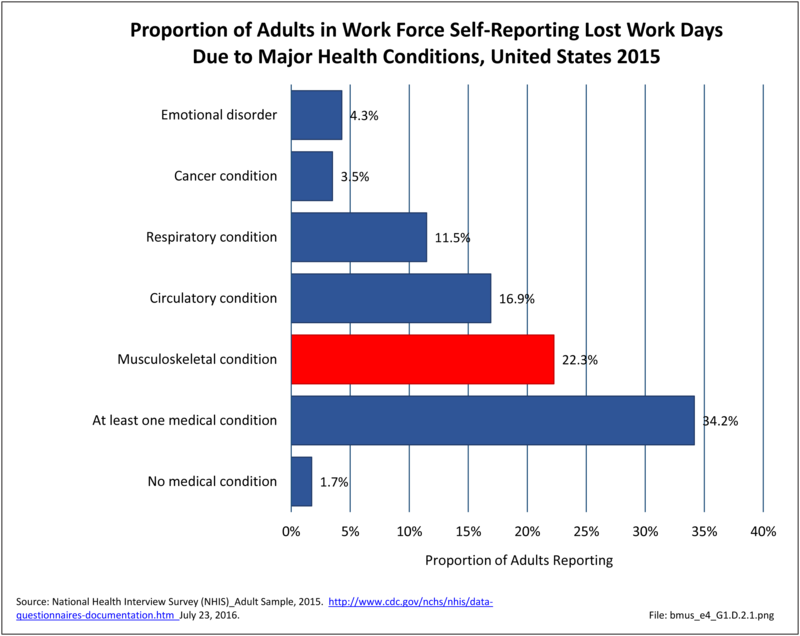 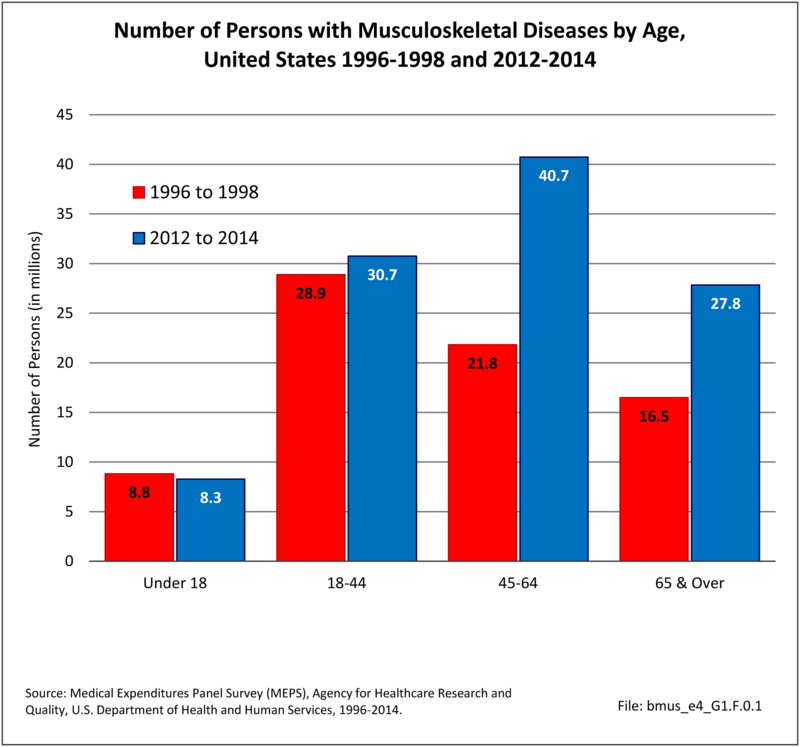 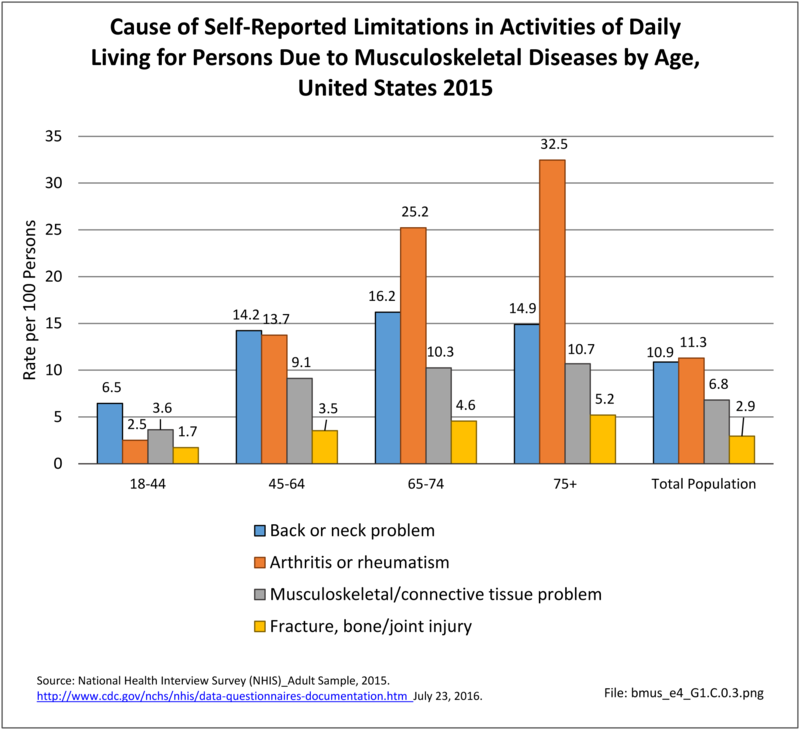 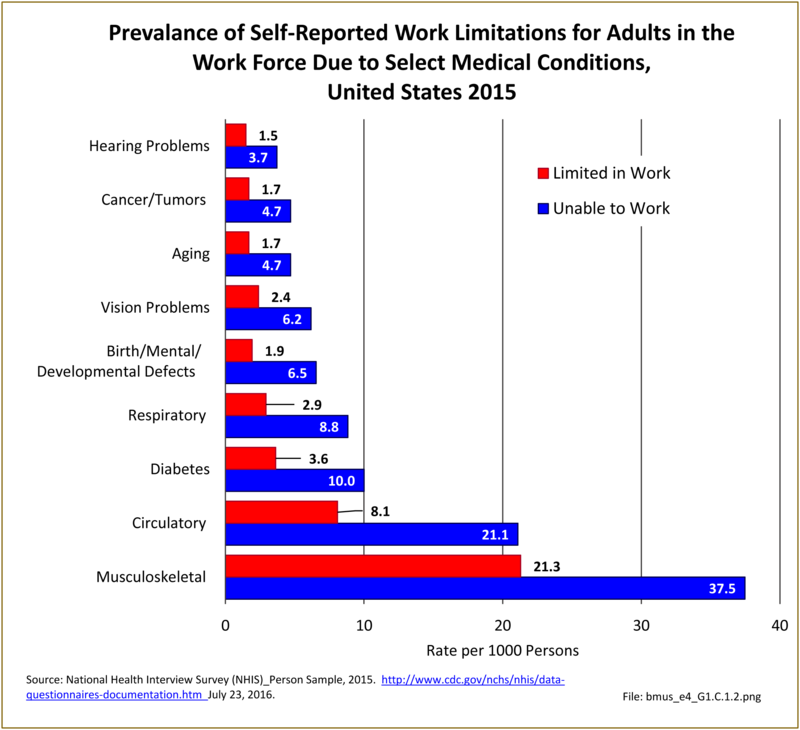 While more than one medical condition could be reported, and often was, 64 million adults with ADL limitations had a musculoskeletal condition, approximately one-half the persons reporting a musculoskeletal condition. 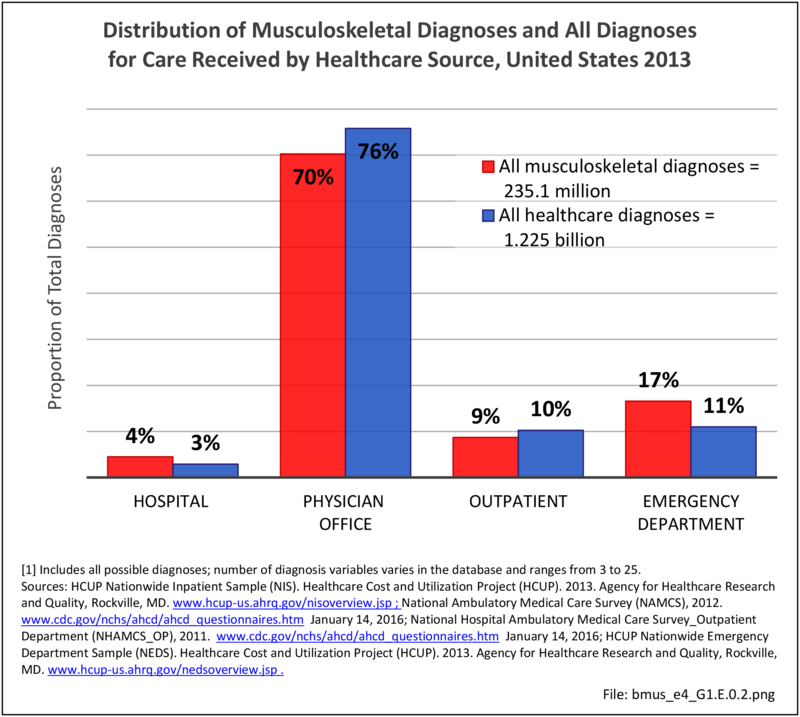 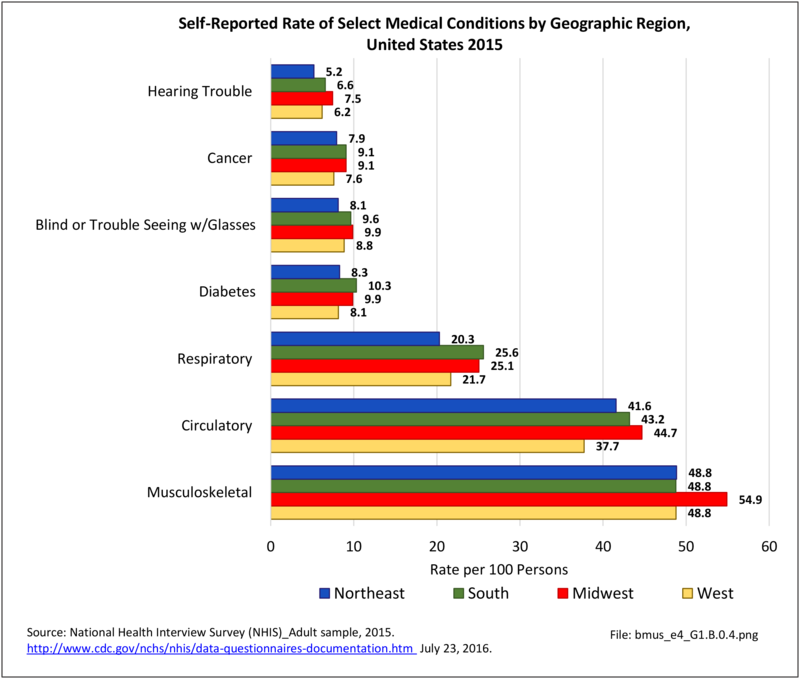 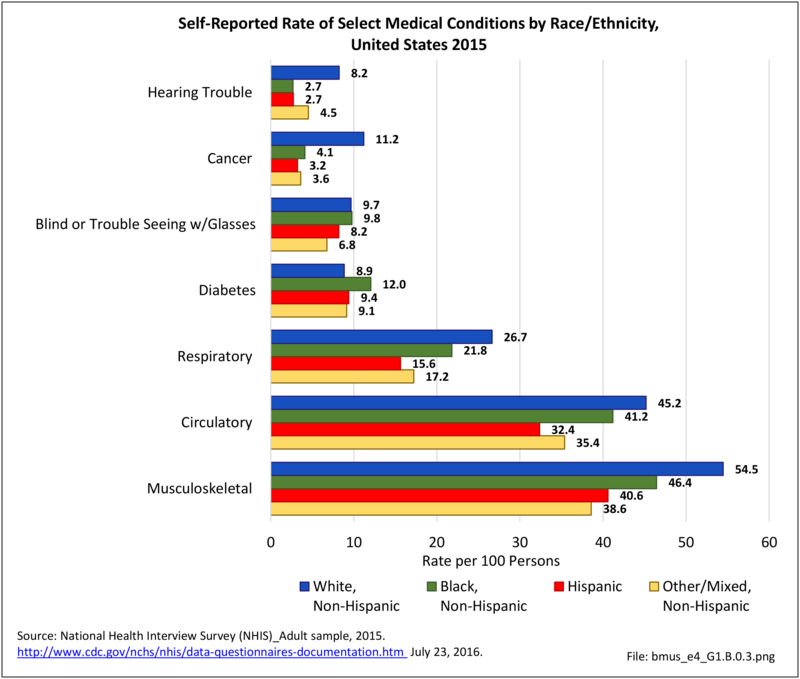 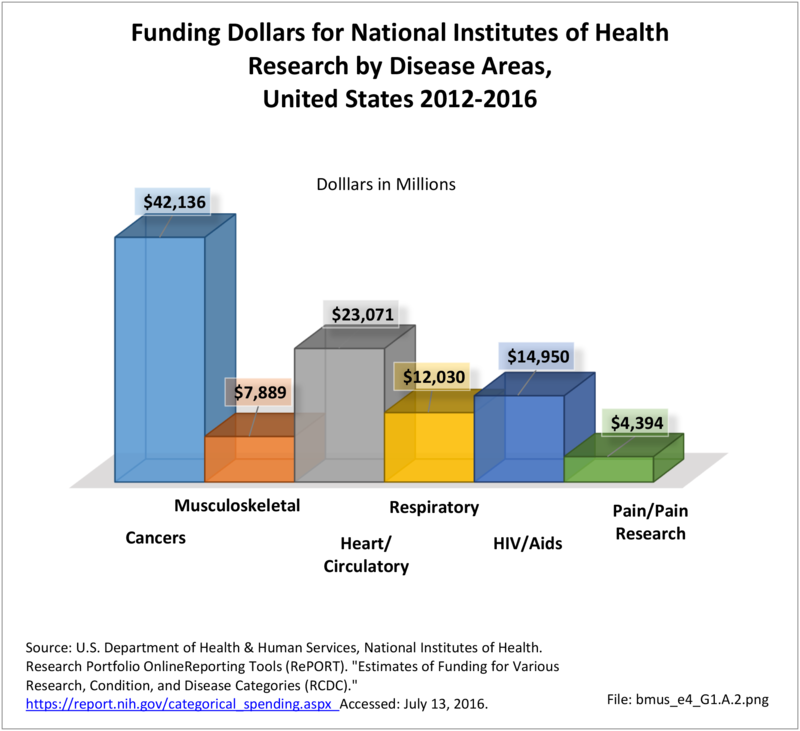 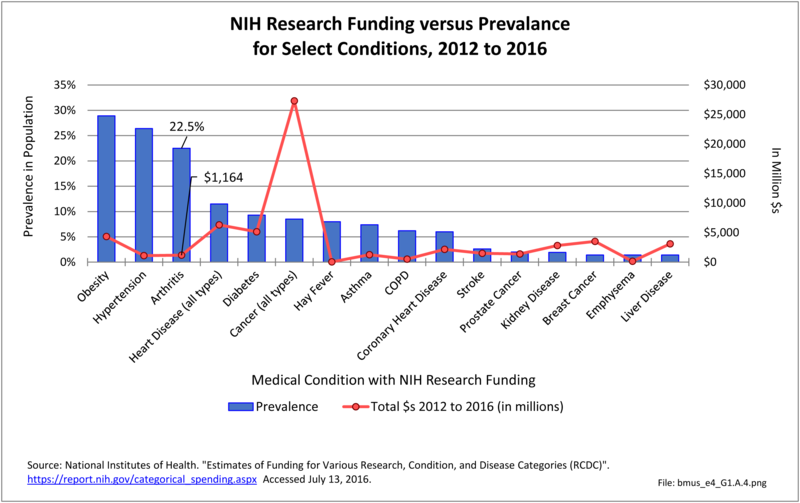 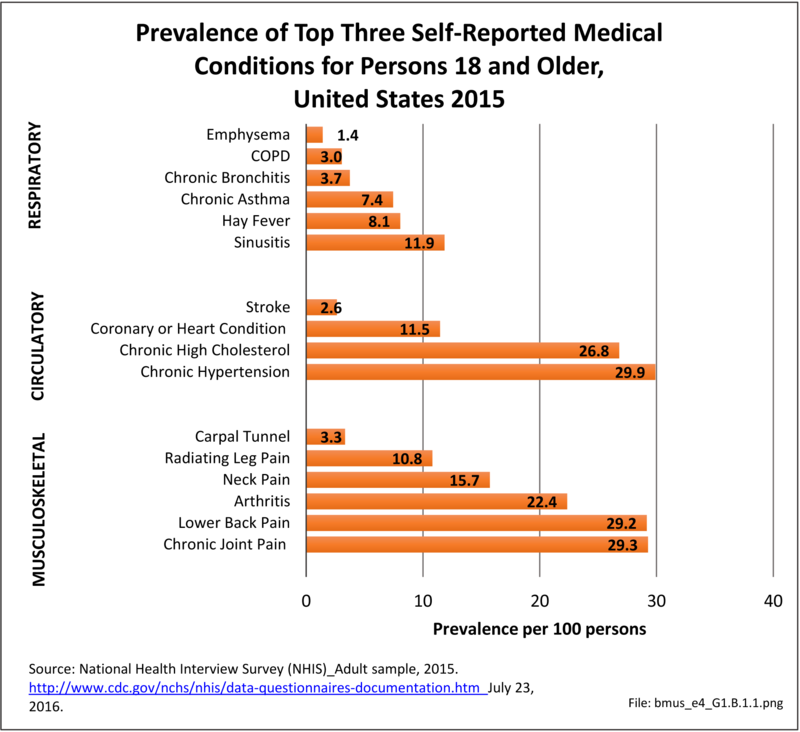 This is a much higher ratio than found in any of the other major disease categories.